Daniel Griffiths has worked with JCH London for almost a year after moving to the big city from a small fishing village in Wales. Dan is our chief electrical engineer as well as being a fully proficient pipework fitter. 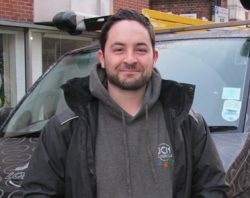 Before JCH Dan worked on an industrial power station developments where he learned about control and management systems for large energy installations, he has been able to apply this knowledge to all of JCH London’s commercial boiler room installations letting us stay one step ahead of the game. Jed has been with JCH London since 2015 after coming over to live and work from New Zealand on a 5 year visa. A self proclaimed Viessmann technology know it all, Jed had a very lucky start to his career when his father opted to be the sole importer of Viessmann equipment into New Zealand allowing Jed to learn from the ground up. Jed’s strengths are in Gas, Solar and Heat Pump technologies both small and large scale and we have not yet found a job that he has not been able to complete. 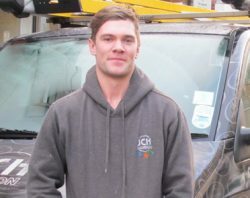 Jack Gurie has been an employee of JCH London for over 4 years. He started his journey as an apprentice at 17 years of age completing NVQ levels 2 & 3 at college in Plumbing and Heating. Jack is now looking to complete his training with becoming Gas Safe Registered this year and applying all his knowledge to furthering his career within the company. 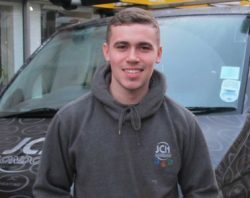 Being the longest standing engineer on JCH, Jack really knows and understands the values we hold dear and this always shows on every job that he carries out. Taariq is the most recent member of the JCH team when he started with us at the back end of 2016. After gaining his Gas Safe Qualifications Taariq worked on a large new-build site in London where he learnt about large boiler room installations, district heating installations and HIU’s (heat interface units) giving him a good overall knowledge of commercial systems. 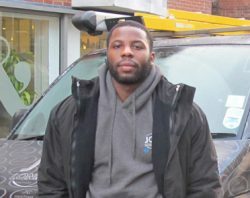 Taariq now heads up the domestic gas installation side of the business whilst also lending his skills and expertise on JCH London’s larger projects.